An artist weaned on the Blues Leslie West formed Mountain out of the ashes of The Vagrants and one of their earliest gigs was at the Woodstock Festival on 1969. Between then and 1971 the band released four powerful albums. Producer and bass player Felix Pappalardi and drummer Corky Laing completed the line-up though stresses and excesses caused Pappalardi to disband the group in 1972. the others drafted in ex-Cream (the band Pappalardi's production skills worked wonders for and who proved a huge influence on Mountain) bass player Jack Bruce and released the unimaginatively titled West, Bruce and Laing album. After a couple of solo West albums Mountain reformed in 1974 and produced both a live and studio album before once again going their separate ways. West continued a solo career until a couple of years after Felix Pappalardi was shot by his wife when he and Corky reformed Mountain once again with Mark Clarke. That line-up toured Europe in 1985 supporting Deep Purple and that was my first short exposure to the band live. From that time on West has released both solo and band albums and Corky has come and gone from the line-up as required. 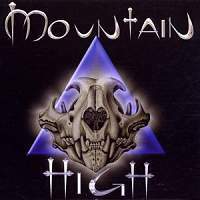 In 2002 he is back and Mountain have managed two British tours. 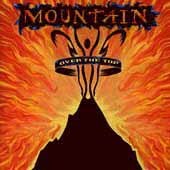 A good starting point if you know nothing about Mountain is the 1995 2CD compilation "Over the Top" which provides a nice overview of the 1970's output as well as gathering some rare recordings and adding couple of new ones with Noel Redding from 1995. 10 Nov 2002 Boardwalk Sheffield England . This page is Copyright © Doug Anderson 2000 - 2002. Created: 3 March, 2002. Last updated: 7 November, 2002.